Raise your hand if you love super easy, family-friendly dinner recipes during these fun and feisty summer months? Well then. Me too. 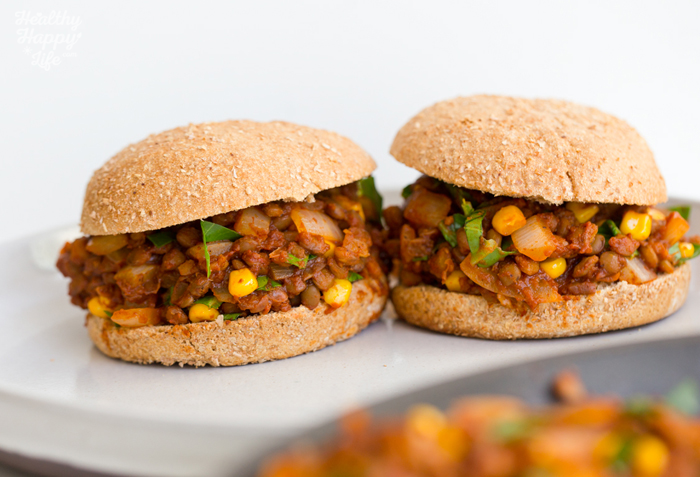 These healthy, vegan, super-delicious Summer Veggie Lentil Sloppy Joes are just for you. 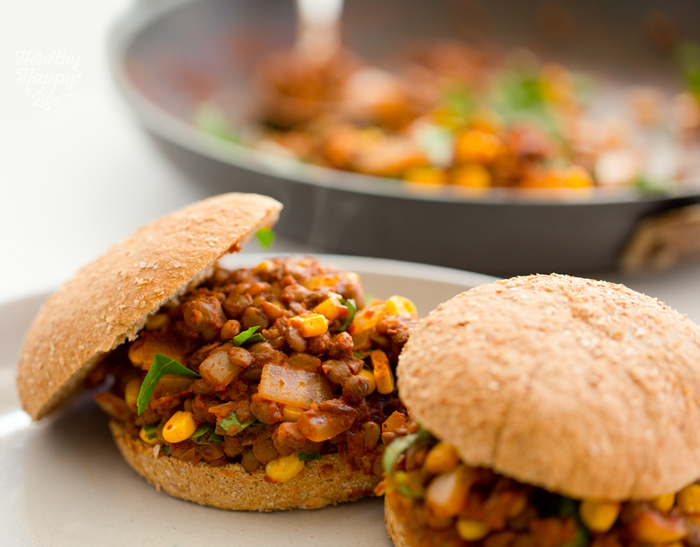 Packed with protein, fiber and flavor, you can have these sassy sandwiches on your dinner table in just fifteen minutes. Really. Oh and these are always fun to eat. Suitable for the little and big kids at your table. 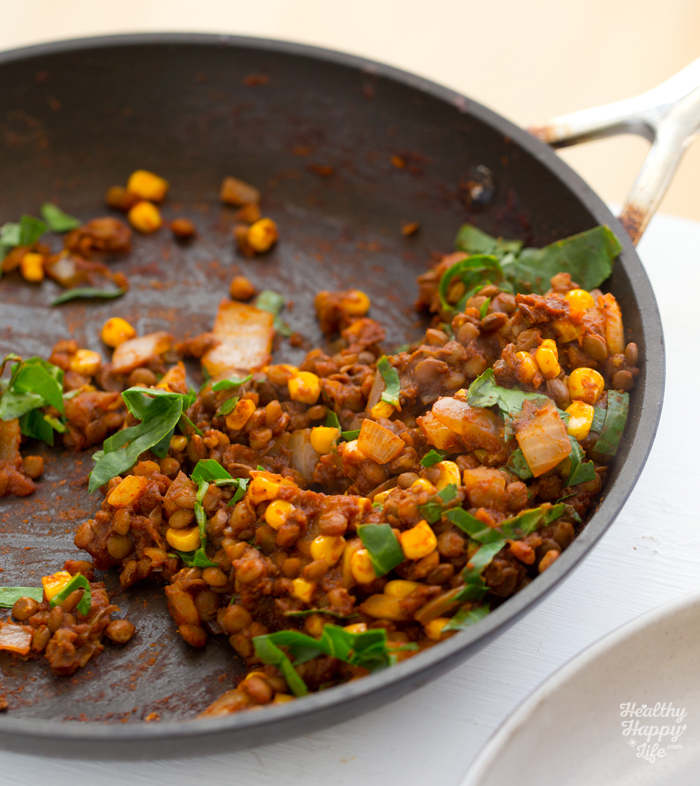 A quick skillet sizzle, and dinner is served..
Eat More Lentils. 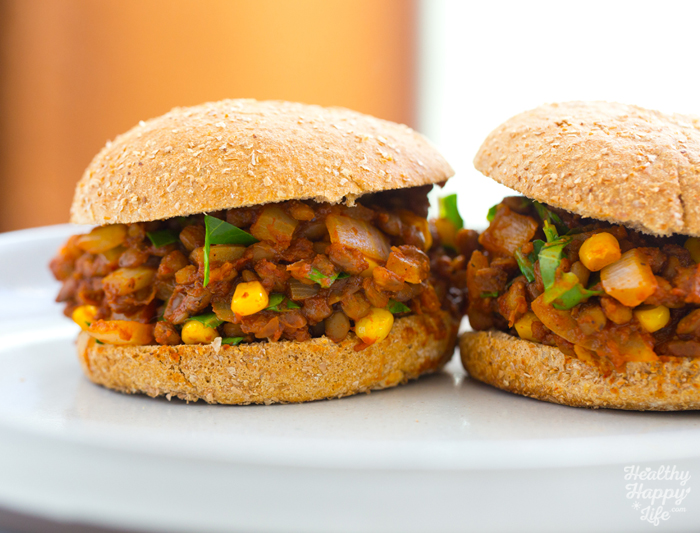 I am always trying to eat more lentils because they are so healthy for vegans and vegetarians .. and everyone else. 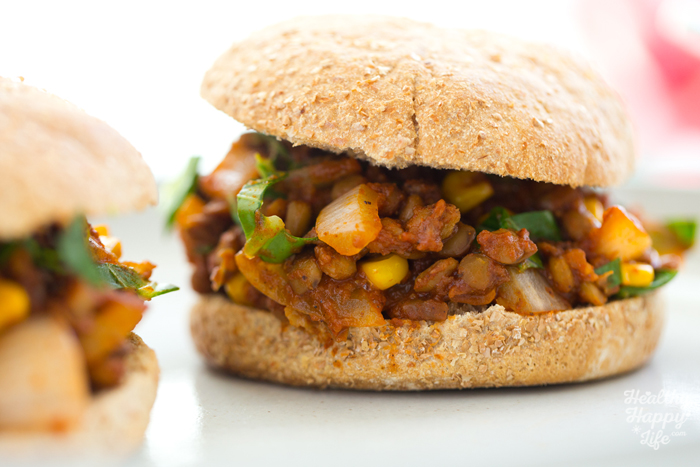 -> One cup of boiled lentils contains 18g plant-based protein, 230 calories, 16g fiber and 36% RDA iron. ..Not too shabby for a few legumes. 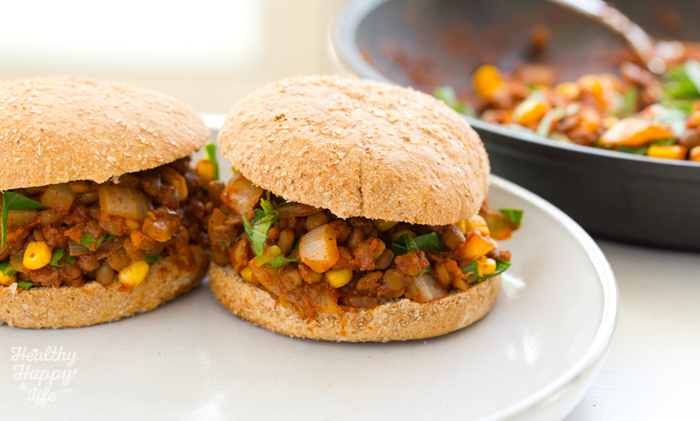 Flavorful, healthy lentil-veggie sloppy joes are family approved for a fast and easy, and fun dinnertime. 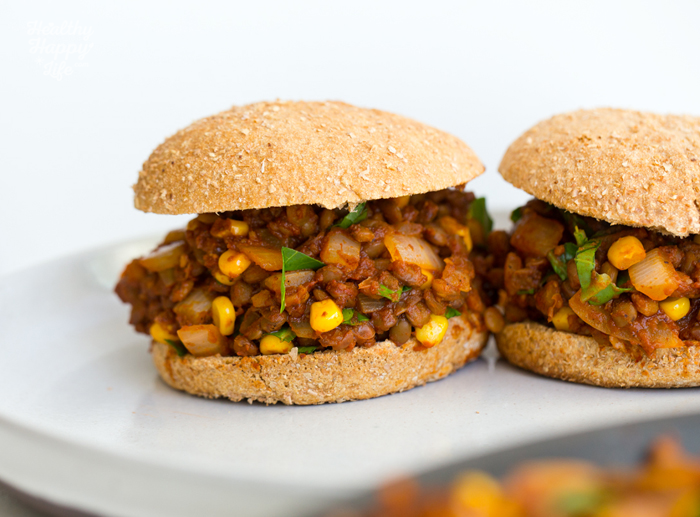 Optional: serve with toppings like avocado, sliced tomato, shredded carrots, additional greens, pickles, vegenaise and more! Turn oven to 300 degrees and place buns on top rack to toast, for about 5-10 minutes. 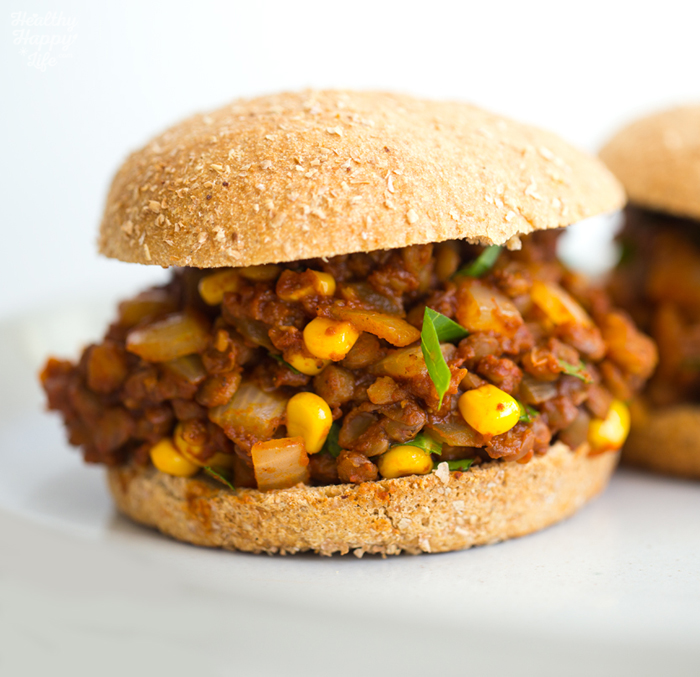 Longer time if using frozen buns. Optional: rub bins in EVOO for extra yumminess. 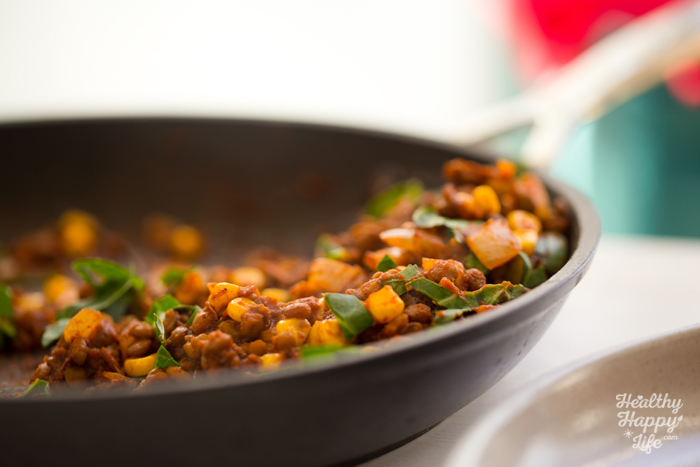 Turn on stove to high and warm up a large skillet. Add the extra virgin olive oil. When oil is hot, add the onions, garlic and corn. Saute for a few minutes until onions start to caramelize a bit. Turn heat down to medium-high, and add the tomato paste, spice, veggie broth and optional nutritional yeast. Stir well until the mixture thickens into a red sauce with the veggies. Add in the lentils and continue stirring gently to mix ingredients. This will only take about 3-4 minutes until flavors mesh together and lentils cook through. Lastly, fold in the collard greens. 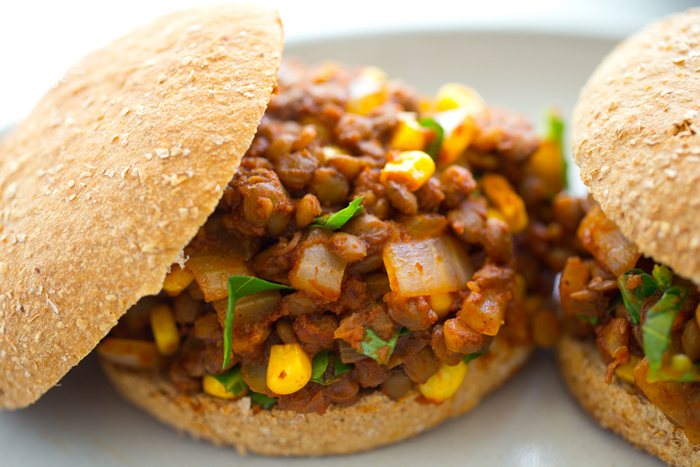 If desired, you can add another splash of veggie broth for a wetter texture to your mixture, but you want the thickness to be scoopable so that the sloppy joes do not get too sloppy. 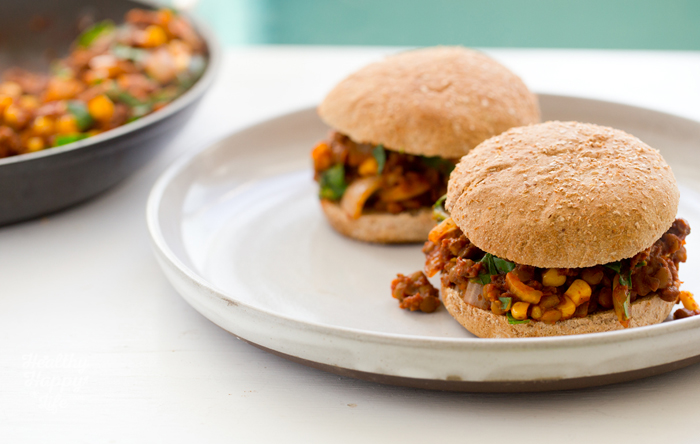 Pull your buns from the oven and fill them with the warm and steamy sloppy joe filling. Serve right away. 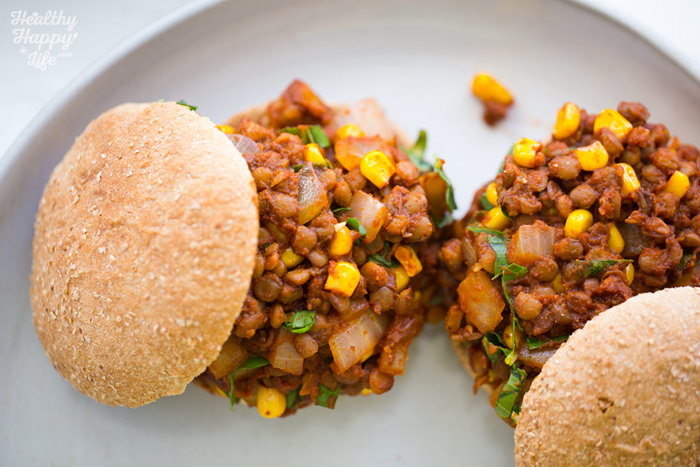 Store leftovers, sealed in the fridge - delicious as leftovers too or a make ahead meal. 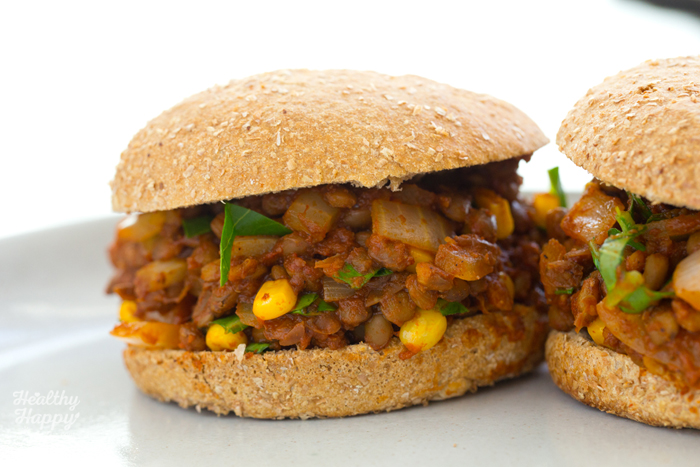 Tip: If you filling gets too dry, just add a few splashes of broth and some more tomato paste. 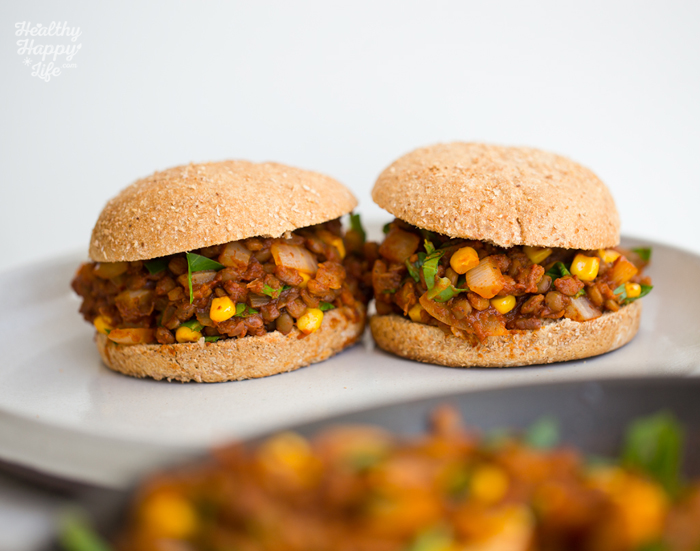 You could also add in some mild salsa or BBQ sauce to "wet" your filling.